Deadline to join STEP by returning Right of Entry form is FEBRUARY 10, 2019. FEMA has identified those homeowners who are eligible for the Step Program. Homeowners may have received phone calls, emails, postcards etc. This is not a scam and we urge you to contact the call center if you may have misplaced the information from FEMA. Eligible homeowners may also visit the application portal at www.ncstepflorence.com or call (833) 257-1100 Monday – Saturday 10 a.m. – 8 p.m.
More information about the STEP program is available at www.ncdps.gov/florencestep. Once a homeowner completes the form, an inspector will visit the home to assess the damage. For homes confirmed eligible for STEP, the inspector will develop a repair plan. 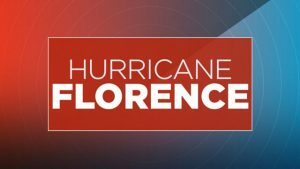 Depending on the level of damage, the repairs will be made by either a volunteer disaster relief group (NC Baptists on Mission or United Methodist Committee on Relief) or a professional contractor managed by the state. FEMA has identified 15,784 homeowners as candidates for the Sheltering and Temporary Essential Power Program (STEP). Eligible homeowners in the following counties may be able to participate in STEP: Bladen, Brunswick, Carteret, Columbus, Craven, Cumberland, Duplin, Jones, New Hanover, Onslow, Pender and Robeson. You must live in a single family, owner occupied property and you should be ready to return to your community and shelter in your home, after partial repairs. Completed STEP repairs will end your eligibility for FEMA Direct Housing in a trailer or mobile home and for Transitional Housing Assistance in a hotel. STEP provides basic, partial repairs to make homes safe, clean and secure to help North Carolina homeowners with minor damage from Hurricane Florence get back in their home quickly. Rapid, partial repairs are completed to make the home safe, clean and secure, so the homeowner and family can live at home while longer-term repairs continue. Living at home while additional repairs continue means people can return to work and school in their communities. STEP will not make complete repairs to your home, but will allow you to continue sheltering at home. Should I participate in STEP? Many residents in shelters and hotels are ready to go home and return to their communities. This may not be possible if their home is not safe, secure and sanitary yet. If you are ready to leave the shelter, hotel room and go home, the STEP program could be what you are waiting for. Remember that STEP provides only partial repairs necessary to make your home safe and sanitary, and ready for further repairs. But it does allow you to get back into your home and community so you can begin the task of rebuilding.